Jobs - Bot Camp - Find Your Dream Robotics Job Working for Us! Join the Bot Camp family today! Bot Camp is currently hiring occasional robotics instructors to fill-in when full-time instructors are unavailable during after school and weekend workshops. This opportunity is suitable for students who have availability on weekday afternoons, or on weekends. Rate of pay dependant on experience level. Hours available in minimum two hours blocks. Full-time robotics instructor positions for Bot Camp’s Summer camps. A limited number of positions are available for new instructors for these week-long camps. Contract is 8 weeks, 40 hours per week, Monday to Friday, 8am to 4pm. Bot Camp offers a friendly, fun, gracious and professional working environment for its employees. Positions are conditional on passing a vulnerable sector police background check, which will be paid for or reimbursed by Bot Camp upon hiring. If you are an energetic self-starter and are passionate about robotics, please apply by completing the form below, and attaching your resume. No cover letter is necessary. Applications will be accepted and evaluated on a rolling basis. Offers will also be made on a rolling basis, and we reserve the right to close applications when all positions are filled. Applicants are encouraged to apply early. A limited number of volunteer positions are available to assist our instructors during all our programs. Volunteers need to be 16 years of age or older. Responsibilities include assisting Robotics Instructors during programs, and maintaining the robotics lab by sorting and inventorying parts. Please see the Robotics Instructor job details above for the recommended skills profile. To apply for a volunteer position, submit an application below, and indicate you are applying for a volunteer position. Want to know what it’s like to work at Bot Camp? 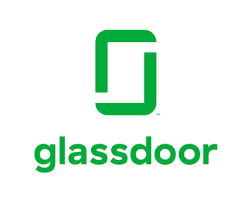 Read reviews from current and former employees on Glassdoor.